Hook N Sling needs no intro to any of us. Huge Club hits year after year, with loads more to come. "Love on me" has been a massive success this year, come listen to one of the best DJs in the World. Supoorted by Wasteland & Against Odds. 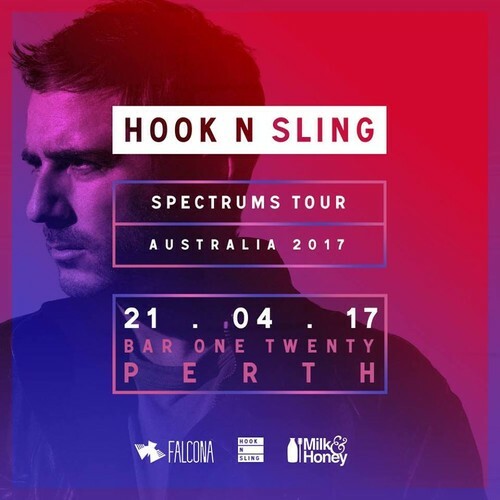 Australian DJ/Producer, Anthony Maniscalco better known by his stage name Hook N Sling, has a proven history of releasing records that cut through the noise, showing a constant evolution ahead of the game. With over 100 million streams to his name as well as a packed tour schedule headlining almost every major club around the world, Hook has garnered an ever growing international fan base.